Last Friday (1st March) I had the honour of chairing the Council Tax Setting Committee of South Somerset District Council. This doesn’t happen often (indeed ever), but the Police were so late setting their budget that it wasn’t available at the normal Council Meeting. Hence my sitting on a sub-committee with 5 colleagues (in political balance, of course). As you see, Brympton’s precept was among the lowest. 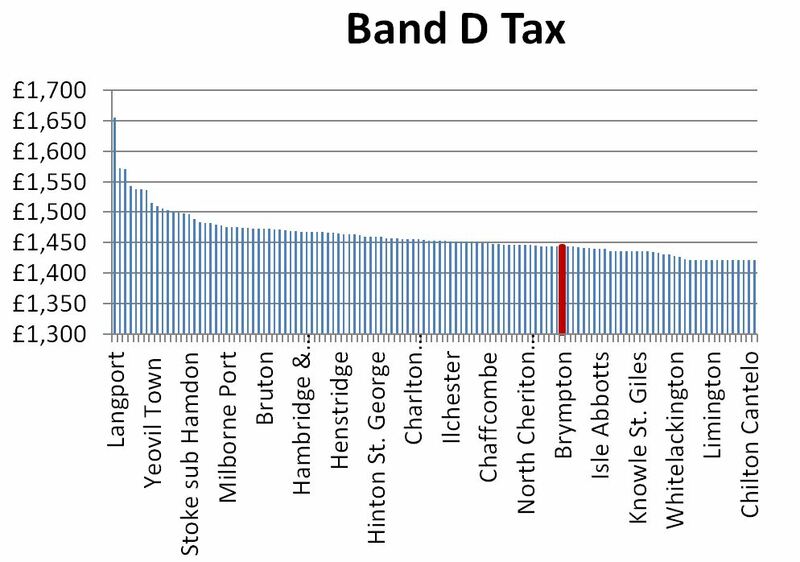 Indeed most parishes went for an increase in tax. Various good reasons, but this is probably the last uncapped year for parishes and I worry we may have missed out – Lufton’s new village hall won’t build itself and it would be better, in my view, to spread the cost collecting over many years rather than borrowing. The trouble with a low precept is the taxpayer ends up paying for paperwork instead of projects. Ah well.